I realized the other day that I don’t blog personal matters near as much as I once did. Thats a shame, I’ve just been too busy. So, here’s a post to catch you all up on what life has been like for us the past few months. Gavin is almost 7 months old now, which is absolutely crazy. He’s got two teeth on bottom that he’s deadly accurate with. He’s on the virge of crawling, I can see it in his eyes, so close! I never thought I’d be ready to have a baby. But I guess that comes with time. When he was born, I was ready for a newborn but not a baby. Now, I know I’m not ready to have a toddler type baby, but a 7 month old is just perfect. I guess we’ll learn as we go. Katie is back to teaching full time now. She’s so good at her job, it’s like she was made for it! Life was great over summer break, but now we’re back into our insanely busy schedule until weddings slow down for me in November. Life is hectic sometimes but we love it. As if we didn’t have enough on our plate we fell in love with an old house in a quaint historic neighborhood here in OKC. We thought about it for a couple days and listed our first house just to see what would happen. It sold in two day! So, we’re moving! It’s always been a dream of ours to rehab a historic house. I even remember talking about it when we were dating in college. So we’re doing it! We have alot of work ahead of us, but it’ll be a fun journey! As Fall rolls in I always get nostalgic, I’m not sure why. Maybe because it’s my favorite time of year. I was thinking about the way life has taken shape for us over the past 2 or 3 years and how awesome it’s been. We’ve done some really big things. We had a baby, took the photography business full time, opened a studio, bought our dream house and made some amazing friends along the way. Life is good. Of course it wouldn’t be so without all the amazing couples I’ve been able to shoot for. It’s been absolutely awesome to get to know you all and peek into your lives, I can’t say thank you enough for that! And, not to mention our amazing family. We almost moved to California 3 years ago, I can’t imagine now what life would be like if we had. We absolutely cherish our family, couldn’t live without them! I’ll wrap this up before it gets too sappy. 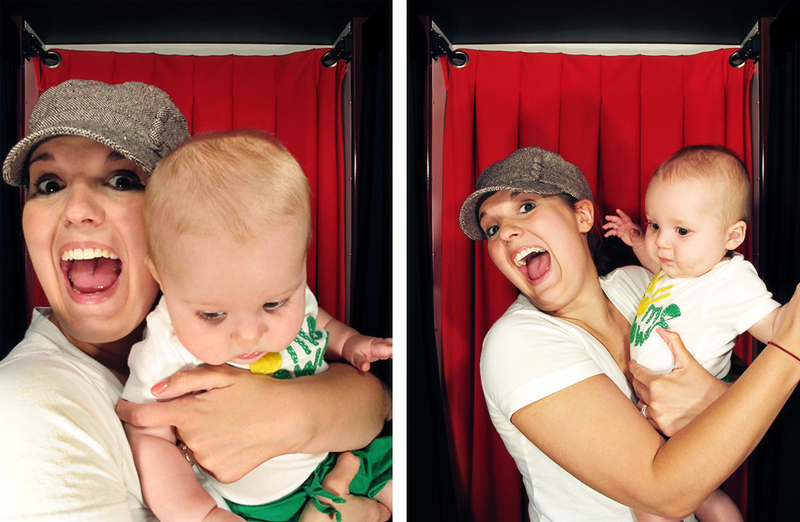 Here are some photobooth shots from The Oklahoma Photobooth Company. We have a monthly art walk in the Plaza District where our studio is located. So every month we have a coinciding party, it’s always a blast! 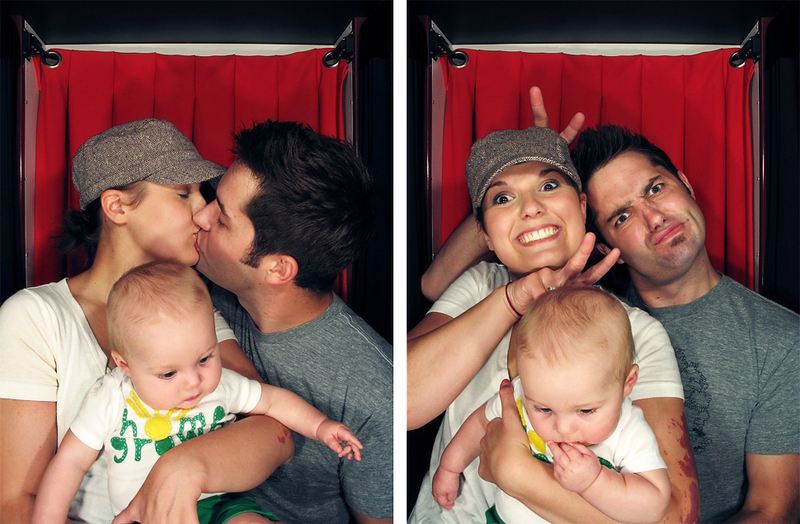 Last month Loiuse brought down the photobooth, it was a hit. If you are having a party or wedding reception, you’ve gotta call her! I’m headed to Mexico for Scott & Jessica’s wedding on Thursday, I’ll see you in a week and I’ll have an awesome tan!TO LIFE!